Love is hard. What’s even more difficult is realizing your love is ending. If you’ve been plagued with your mind saying, “he doesn’t love me,” it could be right. That’s a bit hard but in all honesty, your inner mind often knows better than you do. But you don’t just have to trust your gut blindly. When you feel as though your boyfriend doesn’t love you anymore, you have to pay close attention to how he’s treating you and his behavioral traits as a whole. Your man could be trying to tell you more than you realize just through his everyday actions alone. Here’s what to look for when you think he doesn’t love you anymore. If he doesn’t love you anymore, he’ll be avoiding you. In an effort to sort out his thoughts and feelings, he’ll spend more time with friends so he doesn’t have to interact with you as much – and probably so he can avoid feeling guilty for as long as possible. Has he recently spent more time “out” with his friends? If so, you may have a reason to be concerned. Think about when either of you come home or when you call each other after work. Does he ask you about your day and reply like he actually cares? Compare his current behavior to how it was a few months ago. If you really feel like something has shifted, you should be able to recall how he acted before and compare that to his behavior now to determine if it’s different. If it is, he might have a lot on his mind about how he feels for you. If a guy is debating whether or not he’s in love with you, his mind will often be elsewhere. Pay close attention to how he seems when he’s around you. Quiet and pensive could mean bad news for you. When is the last time he said something nice to you about yourself? The less a guy loves you, the less you’ll hear those compliments. This is something that can be easy to not notice simply because compliments gradually lessen overtime in a relationship. So, focus on what he’s send in the last month or so. Has he complimented you without being prompted to? If not, his feelings could be diminishing. This is basically his way of getting you to dump him so he doesn’t have to live with the guilt. It’s childish and immature, but picking fights is an obvious sign he doesn’t want to be with you anymore. Call him out on this next time and you might just get your answer. This might be worse than picking fights for no reason. If you’re arguing about his behavior lately or the fact that you feel unloved and he doesn’t even engage in the fight, he really doesn’t care anymore. It’s the hardest to face and the most difficult to even pick up on. He never really updates you about his life or even goes to you for advice. A lot of guys do this subconsciously as a way of separating the two of you already so the actual breakup is a bit easier for them. It’s their way of softening the blow, as it were. So the less he shares, the less he loves you. Don’t just turn to your boyfriend to find out if he doesn’t love you anymore. Take a look at his friends. How have they been treating you lately? Are they just as cheery when greeting you or do they barely nod your way? What about inviting you out with them? The worse his friends treat you, the worse he feels about you. This has a lot to do with telling you about his life but it can also be about when the two of you are supposed to be conversing. If he doesn’t love you anymore, he’ll stop sharing his opinions and he won’t really enjoy discussions with you that he may have used to love. You might not even realize this one but it’s one of the most important signs he doesn’t love you anymore. Has he stopped planning future events with you? Think about it. If you used to go to concerts and now he hasn’t even brought one up for a month, he might not want to make those plans with you because he doesn’t know if you’ll be together. Obviously that’s a basic example but think about stuff you used to plan for that he hasn’t even brought up once lately. If a guy is about to break up with you because he doesn’t love you anymore, he’ll start buying a few new things. He’ll get new clothes, new cologne, and other necessities he’ll need when he’s single. Keep a close eye on his wardrobe. This is another method of distancing you before the two of you have even broken up. In his mind, he realizes he doesn’t love you anymore and so he’s keeping his family away from you so they don’t continue to pull you in further. When’s the last time he’s brought you home? This is the most obvious sign he doesn’t love you. When he won’t even say it anymore, it’s basically over in his mind. The best thing you can do if this is your reality is to talk to him and tell him you need answers. If you keep feeling or even thinking, “he doesn’t love me,” you might be right. 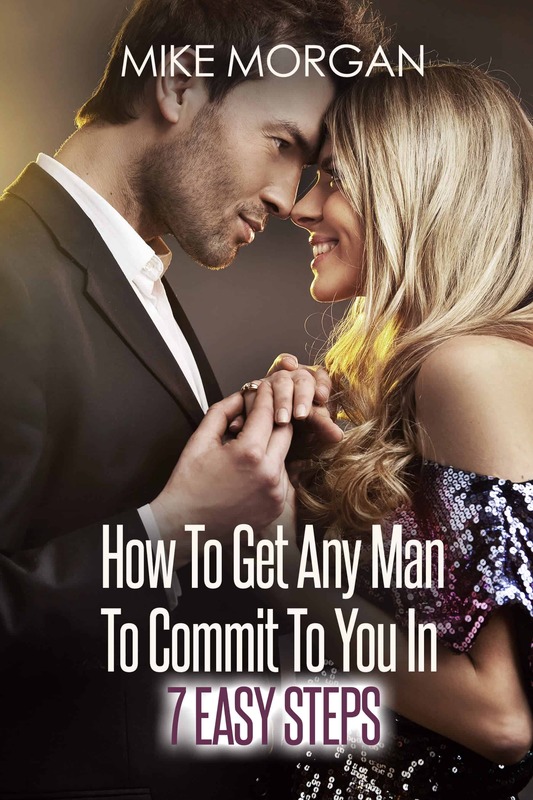 Look for these signs in your man to determine whether or not he doesn’t love you anymore. But, as always, make sure to talk to him about any of your concerns before jumping to conclusions.